This Easter, The Hope Players theatre company in Cambridge threw the audience into a world of Dwarves and Goblins, Elves and mountains. They took audiences on a journey with Bilbo Baggins and his fellow adventurers towards the Lonely Mountain. The production of the Hobbit, which took place at the ADC Theatre in Cambridge from the 20th-23rd April 2011, presented a world where trolls turn to stone, eagles soar through the skies and in the darkness a mysterious creature dwells, obsessing over the precious nature of a magical ring. With original music composed by the award-winning Geoff Page and with superb special effects, ‘The Hobbit’ was one of the Hope Players’ most exciting productions so far. Hope Players are a drama group facilitated by Hope Cambridge, an initiative of churches working together in Cambridge (see www.hopecambridge.com). There are roughly 17 associate members and 18 core members who work together towards a threefold vision: to honour God with their talents; to resource the church in worship and to witness to the wider community. Anne Beaumont the Director said: "After The Lion, the witch and the Wardrobe, the cast gave me a book: J.R.R. Tolkien and C.S. Lewis The Story of their Friendship which inspired me and I was intrigued to see what 'the Hobbit' had to offer. "For Tolkien, Hobbits represent ordinary folk. Ordinary folk can rise to acts of great heroism and sacrifice, often far beyond their own ability to imagine, if they are willing to grasp the opportunities presented to them by a being of higher power. Bilbo is an unlikely adventurer, but finds abilities he didn’t know he had when faced with huge challenges. "In 'The Story of their friendship' the main themes in a good fairy story are said to be recovery, escapism and consolation, and my hope is that the audience left with these feelings. Such consolation, argued Tolkien, only had meaning because good stories pointed to the greatest story of all, the Gospel of Jesus." 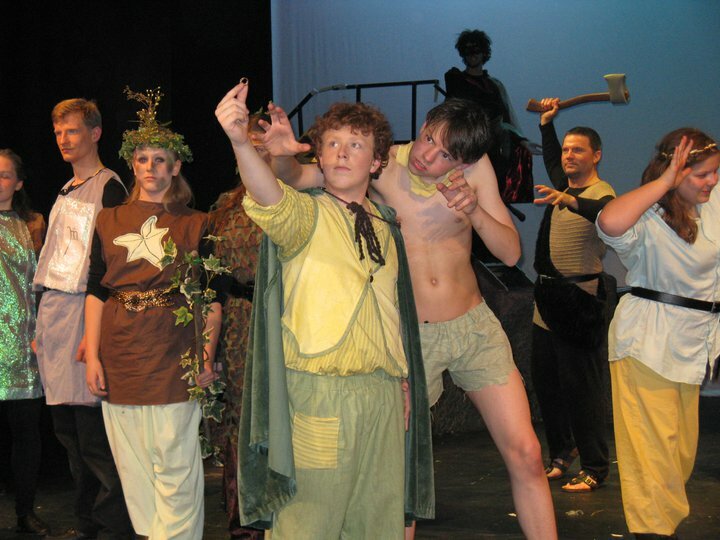 Previous productions by Hope Players include: ‘The Cambridge Passion’ (Easter 2008), Hope in the open (2008) ‘The Lion, the Witch and the Wardrobe’ (Christmas 2009) and ‘Redemption Song’ (Sep and Nov 2010).